We’re excited to announce a new benefit for all Wicked Chops Insiders: each week, we are randomly drawing 5 subscribers for entry into DraftDay.com‘s $5 Frenzy. The $5 Frenzy is a fantasy football tournament that has a weekly $4,250 guarantee–with first place banking a minimum of $700. We’ve already drawn this week’s winners–and we’ll continue to select five Insider accounts each Tuesday of the week for entry. We’ve been playing DraftDay for a couple of weeks, and if you like fantasy sports and have a little bit of gamble in you, you’ll love it. Lots of fun. It looks, feels, and navigates like a poker room. 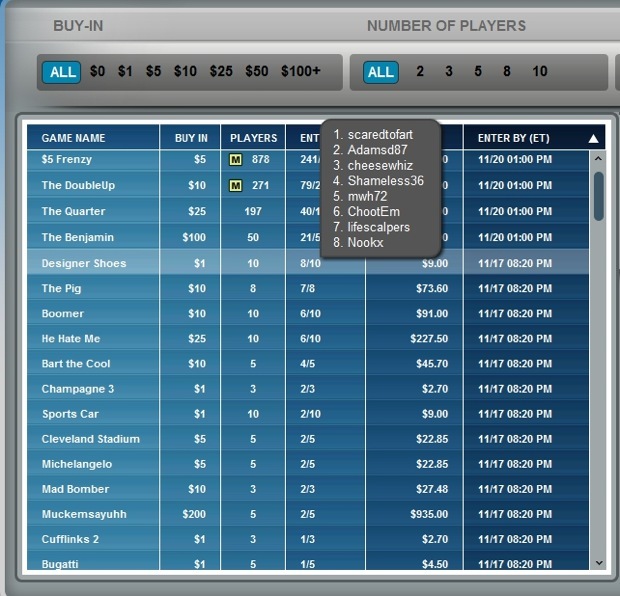 You select a list of SNG and MTT style games and buy-ins to participate in. You draft a team for that day’s games. If you finish in the top three in a 1o-team field, you get paid. Simple. 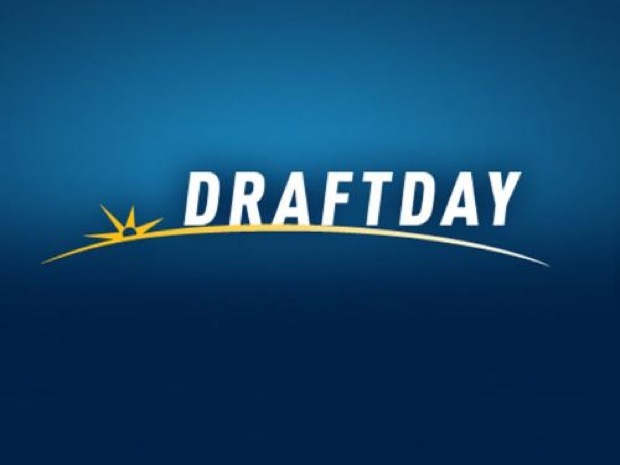 Learn more about DraftDay here. We’ve also embedded a graphic of the tournament room for you to get a feel for it after the jump. Good luck, and we’ll notify you if you’re selected for a freeroll account.